Moving up to Philadelphia, I am close to so many great Interior Design and home shows. I have attended many of them, and the Architectural Digest Home Design Show was one of the most memorable. 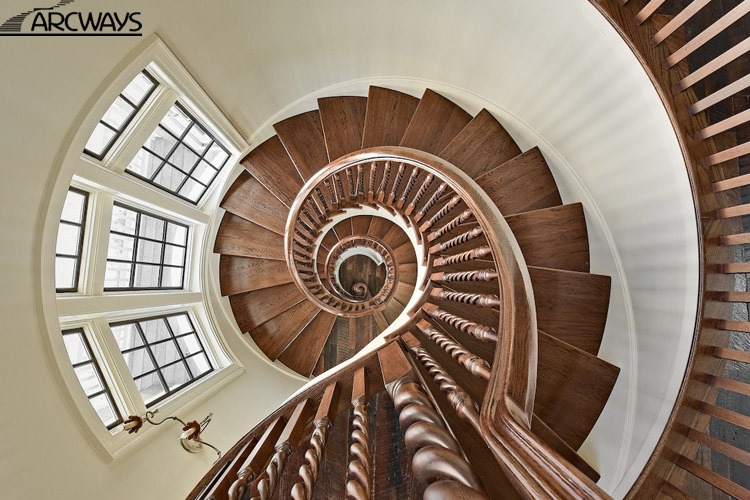 I am impressed with their staircase designs, whether they are industrial, traditional, serious or whimsical, I love the idea of a company’s sole purpose is to provide engineered art-pieces. Nina Green of NGD Interiors highlights her favorite things at the 2013 Architectural Digest Home Design Show, this modern Arcways custom stairway is linear and understated. Nina Green of NGD Interiors highlights her favorite things at the 2013 Architectural Digest Home Design Show, this modern Arcways custom stairway is curvilinear and whimsical. Nina Green of NGD Interiors highlights her favorite things at the 2013 Architectural Digest Home Design Show, “Quadrone” is one of the more traditional patterns out of the Listone Giordano collection. Nina Green of NGD Interiors highlights her favorite things at the 2013 Architectural Digest Home Design Show, the Vibrazioni collection from Listone Giordano , with its unique shape and color, is only for the daring! Nina Green of NGD Interiors highlights her favorite things at the 2013 Architectural Digest Home Design Show, the “Slide” parquet collection from Listone Giordano, has unique shapes which provides abundant design options. Is it a wall, window, a door? I am fascinated with these structural wall/windows and how effortlessly they transition from a stationary glass wall to a completely open space. NanaWall protects from water and air infiltration, provides sound insulation, and high energy efficiency when closed. There are over 20 different systems to choose from guaranteeing there is something for every style. Whether in a large home attached to an expansive porch or in the city with very little outdoor space, you can enjoy the luxury of an outdoor room. Nina Green of NGD Interiors highlights her favorite things at the 2013 Architectural Digest Home Design Show, who wouldn’t want to enjoy the warm breeze coming off the lake with the open NanaWall? Nina Green of NGD Interiors highlights her favorite things at the 2013 Architectural Digest Home Design Show, with NanaWall your kitchen can easily convert to an outdoor kitchen with ease. Highlights from the 2013 Architectural Digest Home Design Show, During the winter time the NanaWall is structurally sound and insulated to use the room all year long, even during the coldest winter months. This is an amazing appliance! It is touted to be the only domestic appliance that can shock freeze, cook, thaw, proof, blast chill, and heat. With its precise temperature control, it can shock freeze food down to -35C to keep food fresh or maintain consistent temperature for proofing breads and brioches. It has a slow temperature function to gently cook meat thus preserving flavor and texture and is delicate enough to melt chocolate without scorching. Convenient functions such as “Ready Meal” allows the food to be held in the unit at a refrigerated state and brought up to serving temperature. Whew, that is a long list of extreme functions from a small unit. I had the chance to see his works of art, and was thoroughly impressed. The vibrant colors and interesting shapes are painted on tempered glass panels and then layered over each other. The finished panels are then backlit and the outcome is absolutely outstanding. His work is exhibited across the world, and if you get a chance to check out his work in person, I highly recommend it! Nina Green of NGD Interiors highlights her favorite things at the 2013 Architectural Digest Home Design Show, Peter Bynum’s “Illuminated Paintings” has a three dimensional quality to the paintings created by the multiple layers of glass. Whether you are looking for art, architecture or appliances, the Architectural Digest show has it all! Nina takes great pride in her work. It shows in the intricate attention to detail, and her recommendations/suggestions. On top of all this, she is just the most pleasant person to work with. We could not have been happier with our decision to retain her, and plan on having her assist us with the next phase, as well as other projects. We highly recommend her.